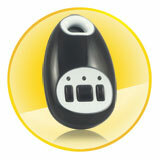 Our GPS/GSM Personal tracker allows you to track any location through the GSM Mobile Phones. At a wholesale price, you will get the unit which is portable and can be carried everywhere. Are you worried about that your car or vehicle was stole by thief? Are you worried about the safety of your child, old, disabled and pet? For these safety considered you can choose a GPS tracker. The mini global real time 4 band GSM/GPRS/GPS GPS Tracker is the ultimate safety device for you.